On behalf of Admin of JML Law, A Professional Law Corporation posted in Truck Accident on Monday, Aug 06 2018. Commercial trucks are an important part of the economy in California. The more of them that you see on the roads, the better the economy is performing. You will want to drive as safe as possible around these trucks due to their weight, size, and load. Commercial trucks are involved in thousands of accidents every year across the country. Our Los Angeles truck accident attorney would like to discuss five important tips for safely operating your vehicle near a commercial truck in today’s post. One of the most important tips for you to follow when driving near a commercial truck is to be aware of blind spots. A large truck, especially the ones that have 18 wheels, have blind spots almost everywhere. This includes on either side and the rear. Some truck drivers might also have trouble seeing smaller vehicles in front of them. Blind spots make driving near commercial trucks very dangerous. If the truck changes lanes without noticing a vehicle it could lead to a tragic accident. It’s important to leave a room when passing or merging in front of a commercial truck. These trucks weigh thousands of pounds, which means they cannot stop on a dime like a sedan. If you pass a truck or merge onto a highway in front of a truck without leaving enough room, you could wind up being slammed into from behind by the truck. You should leave as much room as possible between your vehicle and the truck when changing lanes or merging. If you cannot do so, be sure to stay put until the truck is out of the way. It’s a bad idea to tailgate any type of vehicle but it’s a really bad idea to tailgate a commercial truck. There have been accidents involving cars tailgating trucks that wind up underneath the truck. The truck either came to a stop or the driver of the car was not paying attention, which led to the crash. If your vehicle goes under a truck it will be crushed and it will be unlikely for you to survive. A commercial truck will need a lot of space to make a right turn. They will make a wide turn so that they do not drive over the sidewalk, take out a light pole, or hit the vehicles sitting at the intersection where the truck is turning. If you come to a stop at the white line at an intersection you should refrain from pulling all the way up to the white line. Stay back a few feet to allow for any large trucks or buses that might want to turn down your street. Use common sense when you are behind the wheel. If something seems off around you with a commercial truck you should stay as far away from it as possible, especially if it is carrying flammable materials. 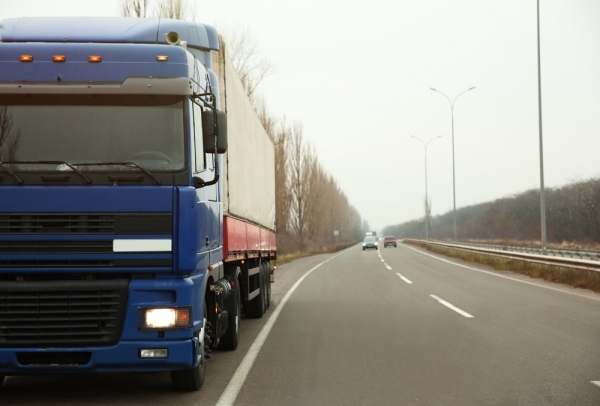 Were you injured in a truck accident in California? Our Los Angeles truck accident attorney can help you understand your rights. Call the office of JML Law, A Professional Law Corporation to schedule a consultation today.